Texas Outdoors: Barrel Racing is a wild ride! 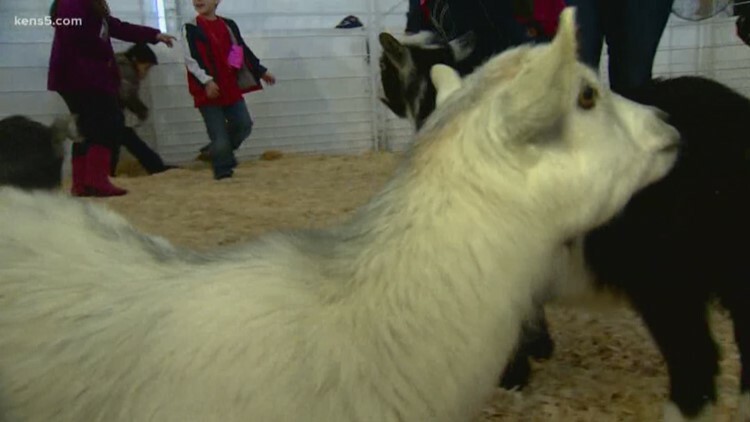 Behind the Barrel Racing scene at the San Antonio Stock Show & Rodeo. There's only a few days left for the young cowgirls and cowpokes to show their sheep-ridin' prowess! 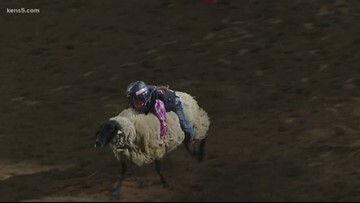 But not before some more young cowpokes tested their sheep-riding mettle. Emanuel Moore scored 91 points en route to victory. This champ didn't want to let go of the sheep, even when he was hanging on sideways! Ain't no first-timer got time to be scared of any sheep. 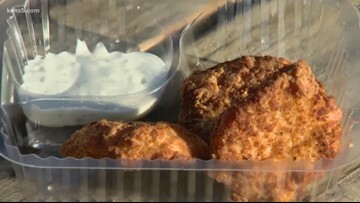 Hungry man Marvin Hurst samples the delicious treats at the San Antonio Stock Show and Rodeo in this edition of Neighborhood Eats. 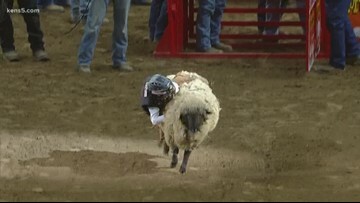 A local contest at the San Antonio Rodeo could win locals a spot at the Fourth of July contest in New York. 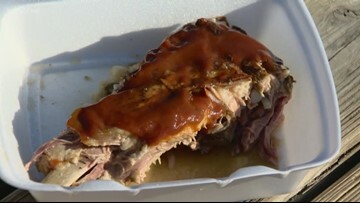 Neighborhood Eats checks out the delicious food on offer at the San Antonio Stock Show and Rodeo at the AT&T Center! Lady Antebellum headlined the San Antonio Stock Show & Rodeo on Wednesday night, February 20.